Man, I can't understand a damn word! Last edited by IPC on Wed Feb 13, 2008 10:35 am, edited 2 times in total. 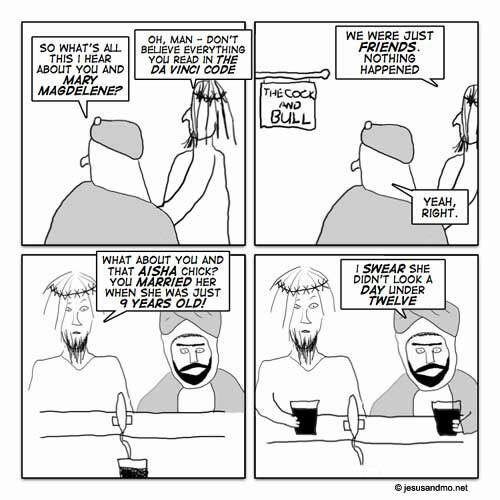 Adventures of Jesus and Mo! 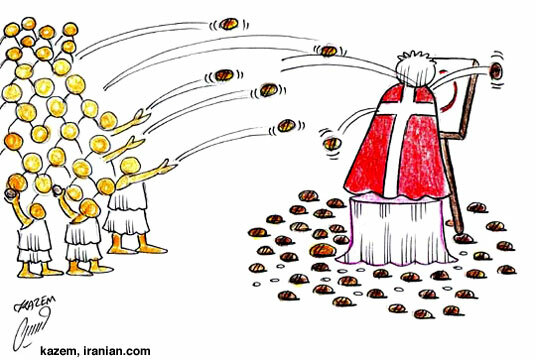 Relationship between Islam and Free Press! Eat more Danish ham & cheese! Islam is changing its Logo! Prophet's Image (PBUH) deserves to be the new Logo! Last edited by IPC on Sun Jan 28, 2007 12:40 am, edited 1 time in total. Bukhari Hadith Vol VII, Book 62, Number 65: "Narrated Ayisha: that the Prophet married her when she was six years old and he consummated his marriage when she was nine years old. Hisham said: I have been informed that 'Ayisha remained with the Prophet for nine years (i.e. till his death)." Tabari Hadith: IX:131: (Ayisha narrated) "My mother came to me while I was being swung on a swing between two branches and got me down. My nurse wiped my face with some water and started leading me. When I was at the door she stopped so I could catch my breath. I was then brought in while the Messenger was sitting on a bed in our house. My mother made me sit on his lap. Then the men and women got up and left. The Prophet consummated his marriage with me in my house when I was nine years old." Mohammed, symbol of Muslim Morality, married Ayisha when she was just 6 years of age, and ripped apart her tender vaginal walls at the age of 9. Now 1.5 billion muslims pray to him 5 times a day! 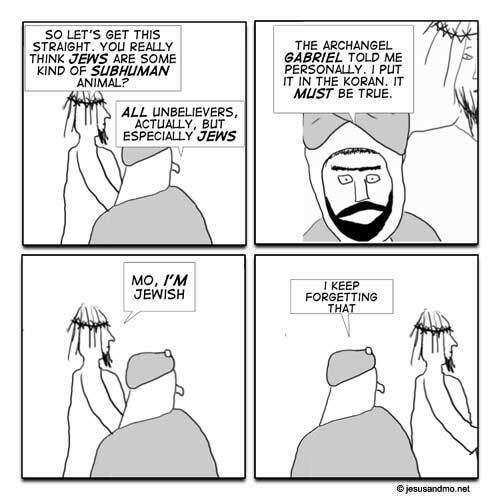 The looney adventures of Mohammed! Last edited by IPC on Sun Jan 28, 2007 12:41 am, edited 2 times in total. In solidarity with Global Free Press, continues! No-one specified that virgins should be human! "Allah uhhhhh Akbar" = oohhh Allah is big! More Toons are coming Up! Last edited by IPC on Sun Jan 28, 2007 12:42 am, edited 1 time in total. 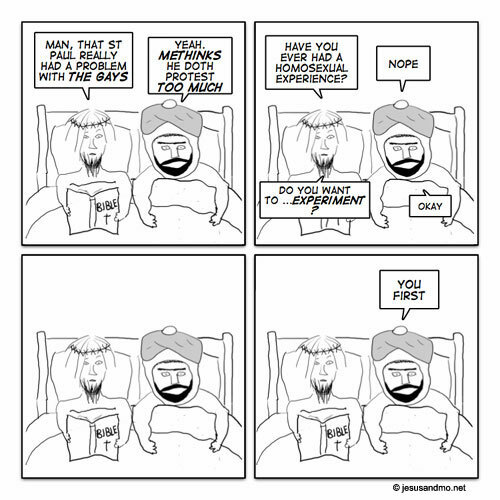 A Dutch Web site called Pret Met Mohammed (loosely translated as "Fun With Mohammed") features a series of politically incorrect cartoons. 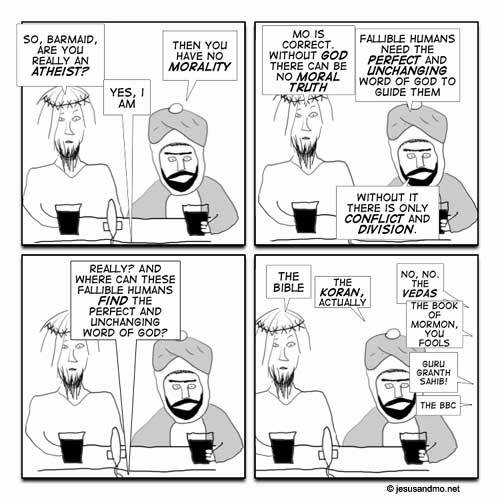 A Select set of the Pret Met Mohammed cartoons are presented here. 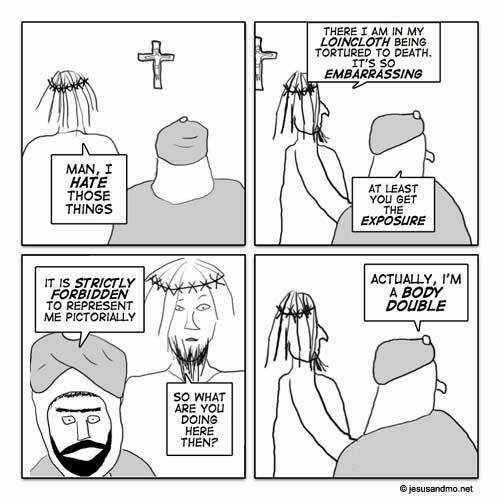 And that's how Mohammed came by Islam's Logo! Mohammed filed complains after "the head of championship" at Mecca..
"I have the only fat neck around here"
Mo says: Remember, most of the people in hell are women without a burka ..
Woman: Are they cooling off? Last edited by IPC on Tue Feb 14, 2006 12:52 am, edited 2 times in total. 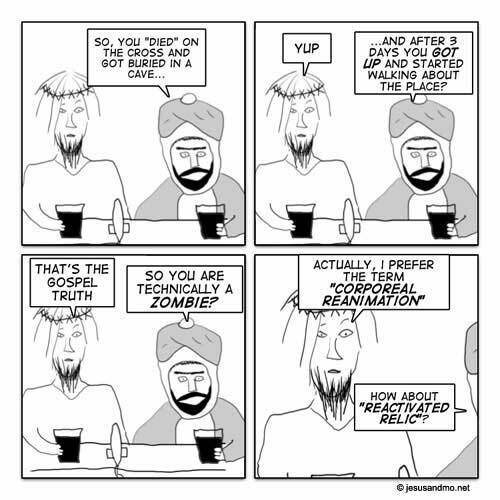 Another set of good ones from A Dutch Web site called Pret Met Mohammed (loosely translated as "Fun With Mohammed") which features a series of politically incorrect cartoons. I think I got another message from Allah! 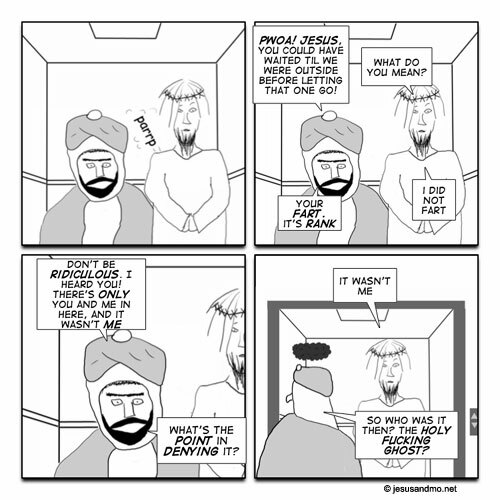 Mohammed: Unclean filthy animal, get out! Goat: Ain't I unclean enough? Mohammed: But darling,my harem is much more fun than the playground. Khadijah: O,Prophet is this veil alright for Islam? Mohammed: Almost,almost,but something is missing..
Last edited by IPC on Sun Jan 28, 2007 12:43 am, edited 1 time in total. One hand on cocktail Molotov and one hand on price of oil, he controls the profit! Profit Mohammed! 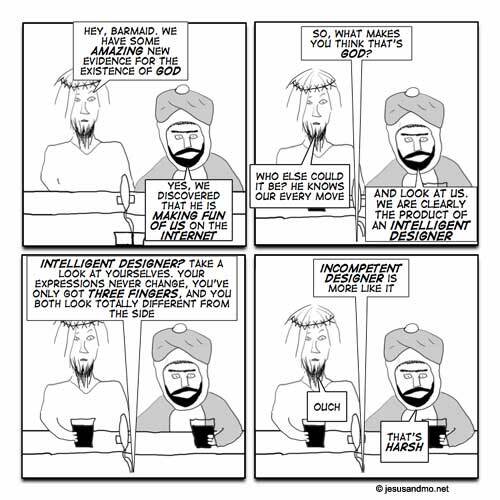 why Mohammed doesn't want us to draw him? Last edited by IPC on Sun Jan 28, 2007 12:43 am, edited 2 times in total. Last edited by IPC on Sun Jan 28, 2007 12:44 am, edited 1 time in total.